Things that helps you in the casino while you playing games. 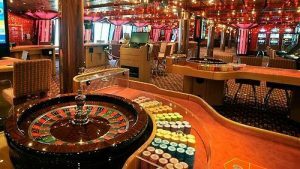 Casino table games are exciting to play, both online and off. They can also take a big bite out of your bank account.If you’re new to this, you probably wonder which table game allows you to beat the casino and win some money.If you’ve been around for a while, you already know the answer.None of them. When you play against the casino at a table game – or any casino game, really – the casino is going to win. Not all the time, or it would never make sense for a person to play. But for most players, over a long enough period of time, the casino will beat you. What Does “Return to Player” Mean? Every casino table game has a Return to Player (RTP), or payout percentage. This is the percent of a player’s wagers that, on average, the player earns back as winnings.For instance, depending on the rules of the table, blackjack tends to have an RTP as high as 98.5%. That means that for every dollar you bet, you can expect to earn back 98.5 cents.That also means you can expect, on average, to lose 1.5 cents for every dollar you bet. That is called the house edge or house advantage. Is Return to Player a True Value? A 98.5% payout percentage may sound pretty good. Given normal statistical variance – that’s fancy talk for luck – it seems like you could beat the casino a decent plurality of the time. Even a majority of the time.With that always in mind, the first rule of thumb to beat the casino is to play the table games with the highest RTP. However, there’s more to the Return to Player percentage than meets the eye. The truth is, the Return to Player value is the average payout for the best players. If you aren’t skilled at a table game the RTP is far lower. For instance, if a player makes poor decisions at a blackjack table and keeps busting, theoretically the payout percentage can fall to around 8%. Ouch.Even the most generous payout percentage cannot compensate for inexperience, bad strategies, or poor play. If you want to beat the casino, then the second rule of thumb is to master the game. Why Should I Care About a Casino Game’s Volatility? If you focus only on payout percentage, you won’t beat the casino at any table game.As you might guess, especially if you’ve spent some time and money at a casino table game, you don’t walk away with the payout percentage. Sometimes you win a lot of money, sometimes you lose a lot of money. Sometimes you break even.Volatility, or variance, is the difference between the payout percentage and what you actually win – or lose – at the table each time. Low-volatility games or wagers mean you walk away having won or lost money pretty close to the payout percentage. A high-volatility game or wager means you either walk away with a lot of money (highly unlikely) or walk away having lost everything (highly likely). This matters because the payout percentages at many table games are different for each type of wager you make. The wagers with the biggest wins, such as a number bet on roulette, have the highest volatility and the lowest payout percentage. Admittedly, it’s not exciting to take only 1:1 bets on a game table. It is, however, your mostly likely chance of beating the casino. And in the end, the point is to bring money home. When you combine all the factors, these are the best games if you want a shot at beating the casino.As a baseline, we stopped at 98% payout percentages. Why? Any table game or wager with a payout percentage lower than 98% is not worth playing for anything other than the excitement.